There are so many reasons why Doggie Daycares are springing up all over and have become so popular. A fad? A trend? A millennial generation thing? Not so at all, in our society people are busier and more overwhelmed than ever, and with technology advancing at exponential rates, it doesn’t look like we will slow down anytime soon. Until about the 1980’s most homes had one adult staying home most of the time taking care of the family, home and pets. Earlier in the century we had most people homesteading, farming, taking care of their own needs for food, clothing and housing. We had more land and pets were “free range”, taking care of mental stimulation and exercise as well as providing “jobs” for our pets. Our cats provided pest control and hunters, our dogs were herding dogs, hunting dogs, watch dogs, babysitters. As society evolved, our land ownership shrunk, we began to purchase our needs and two income families became the norm. The family pets needed to stay indoors more for safety reasons as well diminishing space and therefore exercise and stimulation needs were not met as much. Our current society works more hours, travels more, has busier families and pet ownership continues to increase. So what happens to our pets? An increase in anxiety, behaviour issues, unwanted behaviours, loneliness and health issues. 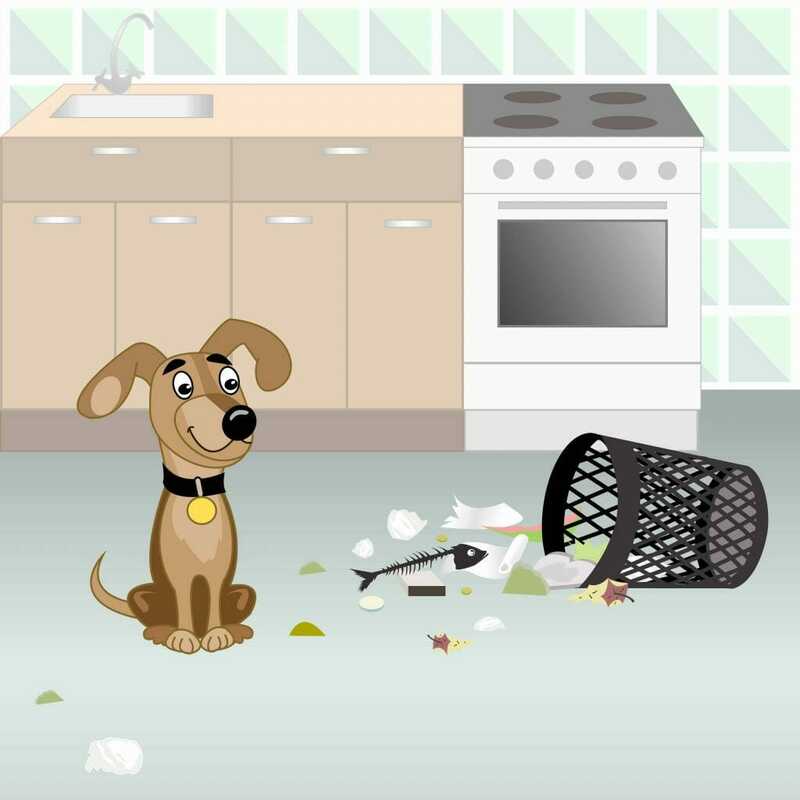 We see separation anxiety, destructive behaviour, excessive vocalization (barking and whining), house soiling (behavioural as well as long hours alone), escape attempts, over excitement, negative attention seeking behaviours as well as reluctance to eat or drink when our pets are alone. So what can we do to separate these behaviours from medical to loneliness/boredom? We can seek medical attention (if house soiling seek advice from a veterinarian to rule out urinary tract issues/stones/crystals etc), and we can try to increase our pet’s mental stimulation and exercise to see if that helps curb the unwanted behaviours we are seeing. Separation anxiety exhibits a variety of symptoms, sometimes only one symptom presents, sometimes a combination. Typically, you will see things like destructive chewing (eating walls, couches, shoes etc. ), excessive whining, baking, howling when you are away, attempting to escape crates or homes and yards. You can also see urination when you come home (which is normal in puppies and young dogs), and defection in the house when you are gone. Other signs of stress are lack of appetite, restlessness, panting or excessive drinking. 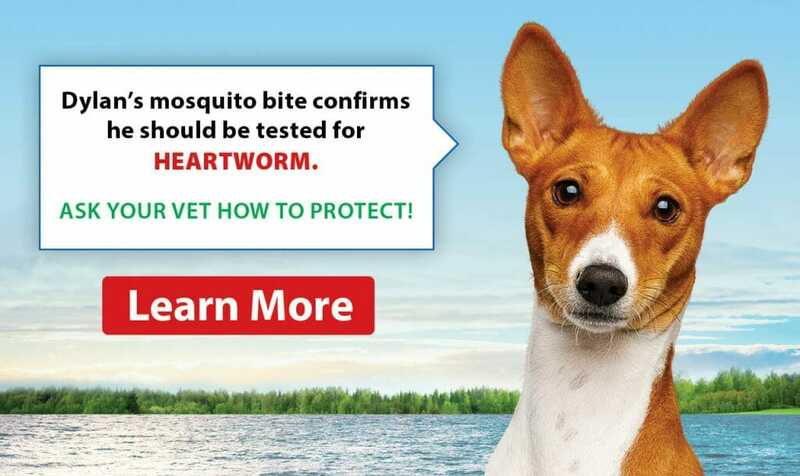 It is important to note that you should consult the advice of a veterinarian to rule out health problems prior to self-diagnosing separation anxiety. So what can we do for separation anxiety? Some non-medical things we can do prior to help our beloved dogs are increasing exercise, providing stimulation at home with kongs and puzzle toys, using Adaptil spray, collars and diffusers. Adaptil is a pheromone product that mimics the “feel good” pheromones released by a nursing mother to her pups. “Adaptil is an innovative, non-drug solution for helping dogs feel more relaxed and secure. By mimicking the natural appeasing pheromones that mother dogs use to comfort and reassure their puppies, Adaptil helps reassure and comfort dogs in their own language.” Often pet owners just cannot juggle the exercise needs of their stressed pets, their career and home life. 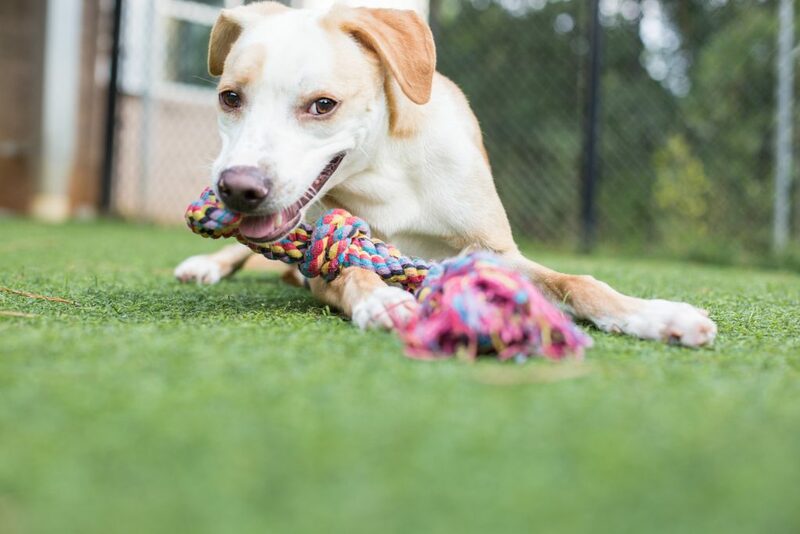 Doggie Daycare is a great option for them, as the dogs get socialization with other dogs, a lot of stimulation, exercise and the comfort of human companionship. Dog walkers, puppy play groups and dog trainers can also be of assistance when dealing with separation anxiety. Puppies and high energy dogs benefit from doggie daycare, as do most other dogs. A tired dog is a happy dog, and a happy dog is a happy family. When your dog comes home tired and content you have more time to care for your home, children and even be more productive in general. Dogs benefit from the change of scenery and routine, it helps prevent loneliness and boredom. Most times they are so happy to get in the door at daycare they do not even look back at their owners. Dogs receive affection from human playmates, play with other dogs and develop both human and canine relationships and they have an easier time maintaining a healthy body weight and condition. Owners benefit from a reduction in guilt from long hours or demanding family commitments as well as some more time to just get things that they need to get done due to decreased exercise requirements. Dog daycare can be used regularly for those who work long or consistent hours, or who have a regular schedule of commitments (ie. Mom works all day and then has to take Jacob to hockey and Suzie to dance 3 hours on Monday nights). Dog daycare is also a huge help occasionally for times when you have guests staying and a hyper and excited dog or perhaps you are selling your house and needs it to stay mostly pet free. Maybe you have a full day of meetings, or a day trip planned to the zoo taking you out of town for a long day, or something came up and you aren’t able to keep your dog’s regular potty or feeding schedule. Here at Country Tails, our daycare day goes a little like this; morning roughhousing with friends, ball and frisbee play, pool play all day, stuffed kongs or frozen homemade treats daily, nap time with dim lights, relaxing music and cuddles, and then we do it all over again! Keeping your dog busy keeps a little more peace and happiness for everyone.